Daniel will be holding a botox training refresher workshop at Bury Dental Centre for a limited number of days, and these are already nearly fully booked with dentists who are already trained and certified to do facial aesthetics, but who would like a refresher on techniques and ideas. If you are keen to have an appointment as a model on one of these days, then please just give us a call, and if there is availability we can book an appointment. Please note that we will need to take full payment on booking to secure your slot. You can pay on the day if you then choose to have additional areas treated. There are only limited appointments on these workshops. The basic areas of anti-wrinkle injection treatments are the Frown Lines, the Forehead Lines, and the Crow’s Feet at the side of the eyes. Each of these are classed as a basic area. Please note that whenever you choose to have either Frown Lines treated or Forehead Lines treated, we would always treat these two areas, and never in isolation. This is because treated the Frown Lines alone can make the eyebrows look too raised, and treating the Forehead Lines alone can risk a droopy eyebrow appearance. The Crow’s Feet can be treated as one area alone or in combination with the other areas. On these workshops you can have 1 area, or 2 or 3 areas treated, and the fee will be £120. 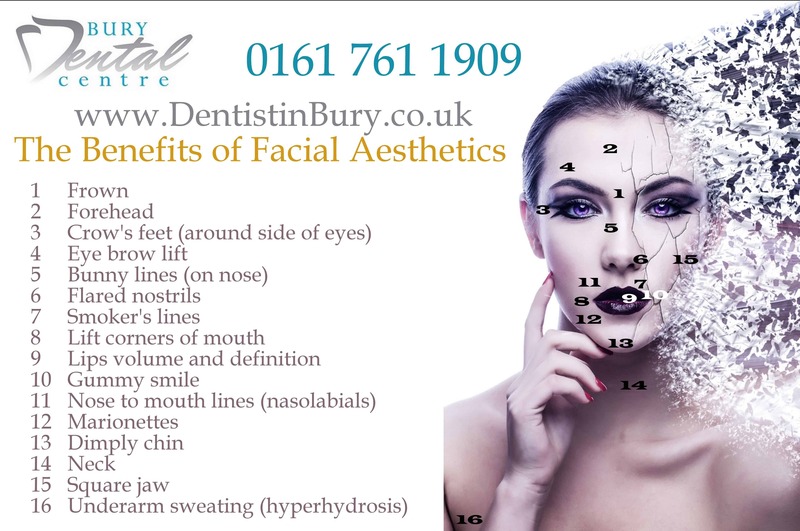 If you wish to have one of the advanced areas treated as well, there is a small additional fee of £60. Bunny Lines – on the bridge of your nose can often be more noticeable after treatment of the Frown Lines, so we can advise if this is a possible area you may want to treat. DAO – stands for Depressor Anguli Oris, this is a muscle that pulls the corner of your mouths down and can cause the “sad face” appearance. This is often treated in combination with Dermal Fillers, and we can advise you on whether treatment of this area would be suitable. Gummy Smile – some people show what they consider as too much gum when they smile. One possible option of treatment is treatment with BTX-A to help reduce the muscle activity of the levator labii superioris alaeque nasi allowing for a smile that shows less gums. Smoker’s Lines – or pouty lines, can be difficult to treat, and often a combination of treatment with fillers, especially around the lips, and the lip borders, can help with these lines, however, it can be difficult to get results sometimes. Nasal Flare – a little bit of BTX-A in the right place can help reduce the flaring of the nose. Dimply Chin – the orange peel look of the chin muscle can be reduced by BTX-A in the mentalis muscle. This is a straight-forward and painless injection at the bottom of the chin. Other areas that can be treated, but that will not be demonstrated on the day include Hyperhidrosis (underarm sweating), Masseters (to soften muscular jaw features) and Platysmal Bands (neck lines). Also Fillers can be used also, for nasolabial folds, and marionette lines, the corners of your mouth, as well as for adding definition and/or volume to Lips. However these will not be demonstrated on the day, but if you do wish to have any of these, these can be discussed, and a prescription can be arranged for treatment on another day. Please note on this workshop we will be using Azzalure as our BTX-A, so if you are allergic to milk or eggs, then we will not be able to treat you. 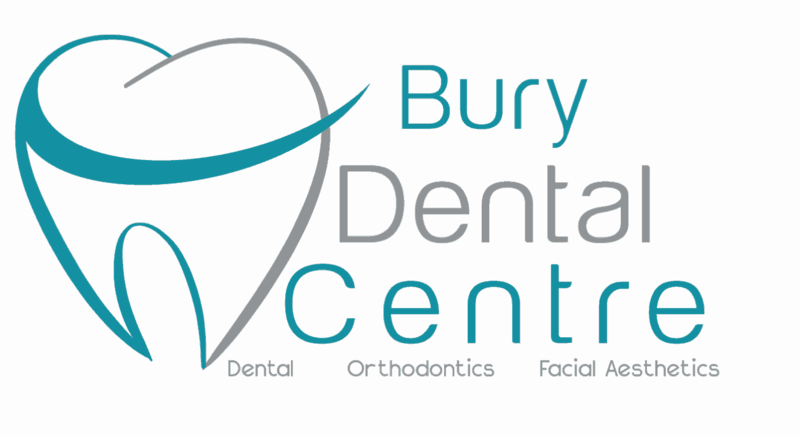 At Bury Dental Centre, we will take photos, and we usually guarantee our BTX-A treatments of 2 months, and can provide a free review appointment if necessary.